4 Performance has committed to joining Go Golf U.S. this season. With the Go Golf U.S. deal, you and up to 4 players can head over to use the simulators for only $15 per 30 mins! Only one player will need to redeem to get this value! You can rent the simulators in increments of 30 mins and will be able to play for the $15/30 min price with the redemption of just 1 coupon. They have graciously offered us up to 20 extra plays as well. No reason to enter this upcoming golf season rusty with a deal like this. Head over to 4 Performance and get your swing ready for the golf season! 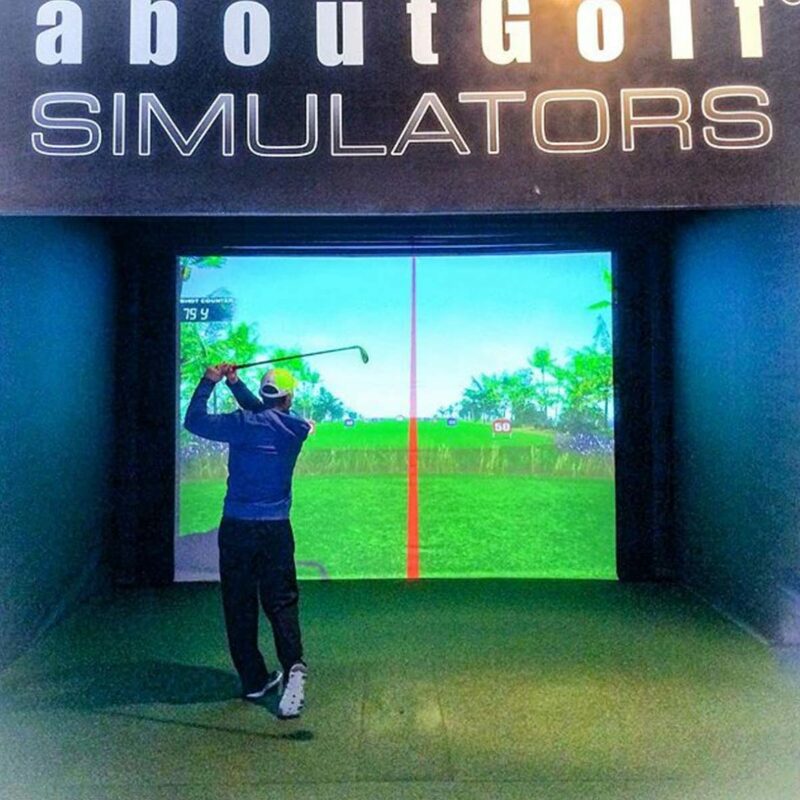 FORE Performance is proud to house four of the worlds finest indoor golf simulators from aboutGolf. aboutGolf incorporates the finest technology to help any golfer improve their game. From state of the art High Definition courses, to indoor range mode, players of all abilities can get numerical feedback to improve their game and all the fun of playing golf 365 days a year. 4 Performance has some amazing trainers on staff and we recommend you join them for a workout as well. Owner and President, Ryan Steenberg, has created some great training tools for golf including the TWITCH Trainer (a training device used to increase club speed, maximize rotational efficiency and break bad swing habits) and SWING STRONG (an online training platform to help you build a better golf game with tips and workouts from Coach Ryan Steenberg). When Ryan is not training athletes at the gym or creating new/innovative training platforms, you can catch him on the range working on LONG drives. He finished runner-up in 2016 in the World Long Drive competition in Oklahoma last year!